For expedited transmission line solutions by helicopter in Iowa! In an age of productivity where time is money, transmission line operations look for expedited services. Helicopters through a FairLifts affiliate provide that solution, through their capacity to perform to deliver world-class Iowa Transmission Line Construction. Take your helicopter solutions to a state that dedicated some 90% of its land to farming, to keep your attention on what matters to your business while a helicopter expert solves your toughest problems for you. Iowa transmission line operations provide the efficient, contemporary solution that your transmission line operations need to scale your ventures. Contact a FairLifts affiliated helicopter provider today! Part of America’s heart, Iowa is an optimal location for any and all of your affiliated helicopter needs. Characterized by seasonally warm summer days and long falls, Iowa allows helicopter professionals long windows for operation. The home of state recreational staples like Maquoketa Caves State Park and Effigy Mounds National Monument, The Hawkeye State is known for both its flat grounds and its overall rich harvests. Located between the Missouri and the Mississippi Rivers, this state is a virtual helicopter opportunity in the making. Where your transmission line operations needs threaten to undermine your own productivity, take to the skies for expedited solutions with an affiliated provider in Iowa. Our professional helicopter operators can make short work of your transmission line operations needs. Industry experts guarantee a security unique to the FairLifts affiliated brands. Put our agents’ expertise to the best use, allowing you to keep your attention on the inner workings of your own business ventures. 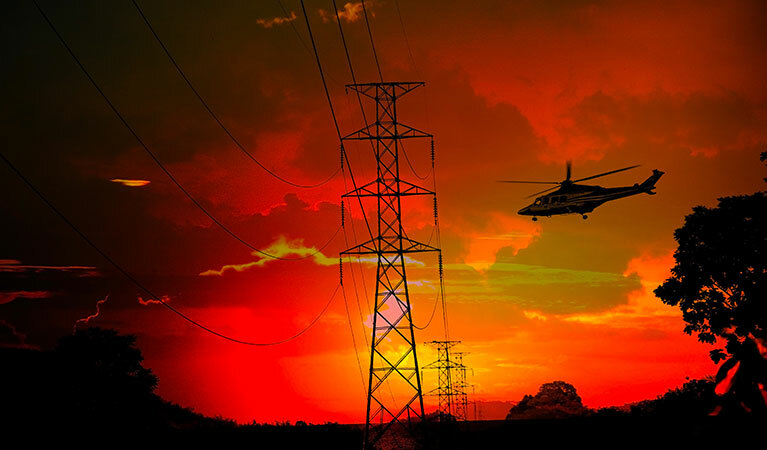 A portfolio of world-class helicopter provisions awaits your direction, ready to take your transmission line ventures effectively to the next level. No matter the total weight of the lift, or the awkwardness of the payload size, trust a FairLifts affiliate provider to make short work of your lift. External and heavy lifts are made easy no matter their total duration. Take your cargo airborne, direct to the destination of your choosing. String wire between one destination and another, no matter the total stringing length or duration, courtesy of the aerial freedom of a helicopter. A FairLifts affiliate provider can make your stringing of wire needs into an opportunity. Install utility poles with the same ease, through the same provider! 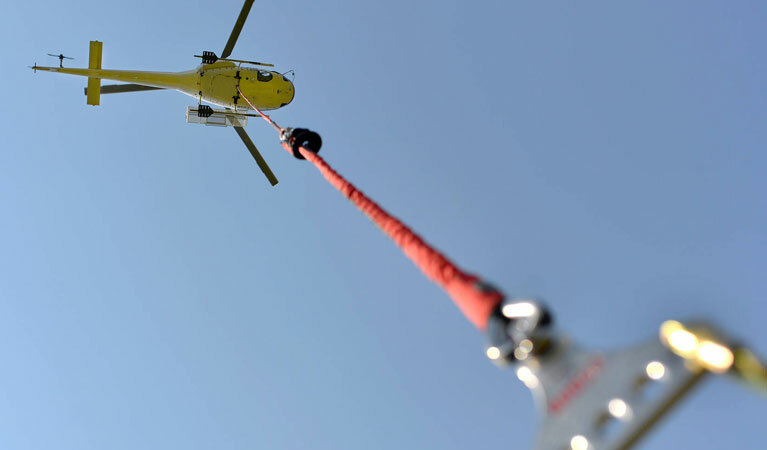 The driving in of utility poles and transporting of tubular steel or concrete used to construct pylons for transmission towers is made simpler via the use of helicopters. Especially in regions with a number of variances in the topography or in environmentally protected regions. Transmission lines made need to be strung across marshes, lakes, streams, mountain tops, etc. Experienced helicopter pilots and seasoned linemen can use helicopters to their advantage to make a precarious job in Iowa infinitely less challenging. Inspect your site from a holistic perspective, thanks to the freedom that a FairLifts affiliate provider alone can allow you. See more of your site from the sky, whether you need to exact an audit or a site inspection. Provide your ROW and site inspection needs with their deserved solution. For aerial transmission line operations today! Reach out today to FairLifts by contacting any of our dedicated customer service representatives today! Discover what a professional helicopter-facilitated transmission line operations package could do for your venture. Or, you can fill out a contact form, and expect a response within a short, 24-hour window.